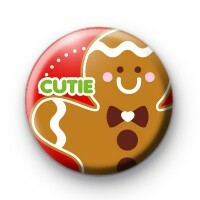 This button badge is of a festive gingerbread man. You have to bake gingerbread at Christmas its tradition. This one is extra cute.